“Pickup truck owners are the most brand loyal when it comes to shopping for a new vehicle – and with the Tundra, we set out to create a full-size pickup that would attract new customers to the Toyota brand,” said Cyril Dimitris, Vice President, Toyota Canada Inc. 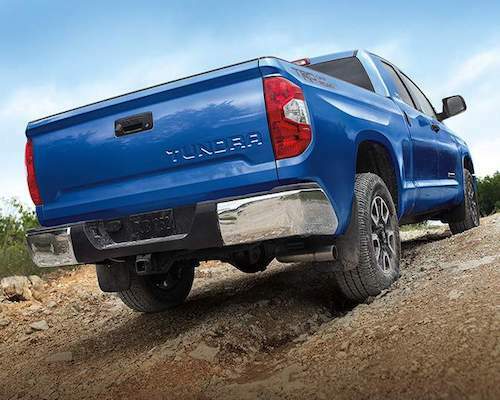 The 2018 Tundra expresses power and capability through a bold, chiselled exterior design. For 2018, all models feature a new grille and headlight design, plus LED daytime running lights. 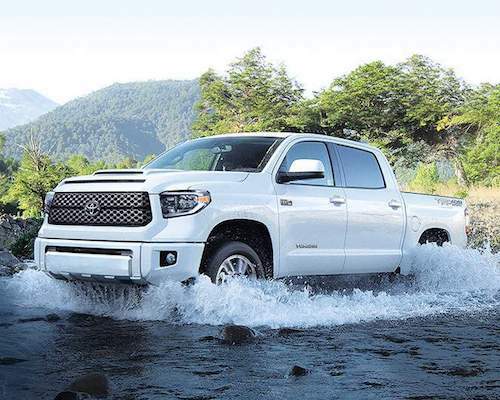 These join popular Tundra features such as the easy lower and lift, locking tailgate that’s also easy to remove, and large door handles that are easy to use even while wearing thick work gloves. Tundra is available in a variety of body combinations – including Double Cabs with 6.5-foot or 8.1-foot beds and CrewMax cabs with a 5.5-foot bed – making it easy for Canadians to pick the pickup truck that’s right for them. Inside, comfort and space abound. Double Cab models have space for five or six adults (depending on model), while CrewMax cab models feature an expansive cabin with seating for five. All models feature a 60/40 split rear seat that may be operated with one hand to provide floor-to-ceiling storage behind the front seats. Standard features on all models include cruise control, air conditioning, power door locks, a Display Audio system with Bluetooth connectivity, voice recognition and steering wheel-mounted audio controls, a tachometer and trip computer, sliding sun visors, 12v accessory power outlet for personal electronics, coat hooks, a locking glove box, all season floor mats, and more. 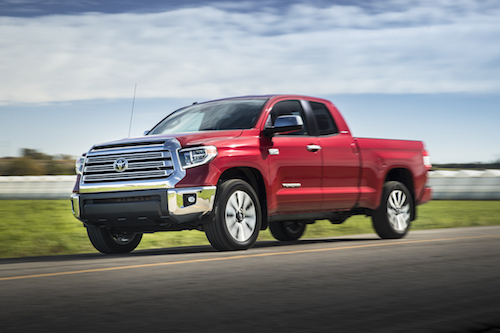 Pickups are synonymous with power, and the 2018 Toyota Tundra delivers plenty, with a choice of two engine sizes. Most models are equipped with a 381 peak horsepower 5.7L i-FORCE V8 that generates up to 401 lb-ft of torque. Towing capacity ranges from 3,992-4,535 kg (8,800-10,000 lb) depending on model. Toyota also offers a Tundra fitted with a highly efficient, 310-peak horsepower 4.6L i-FORCE V8 that delivers up to 327 lb-ft of torque and a 2,948 kg (6,500 lb) towing rating. 4×4 models feature Toyota’s on-demand, one-touch 4WD system with auto limited slip rear differential. 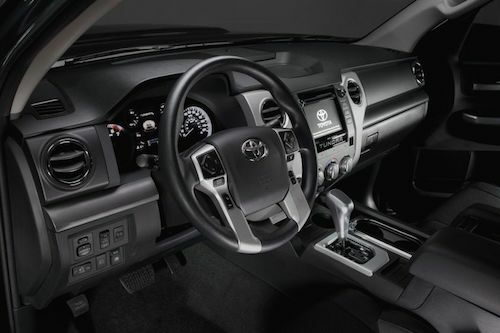 The Toyota Tundra also delivers impressive safety performance, through a long list of active and passive safety systems. New for 2018, all models are standard-equipped with Toyota Safety Sense P. This bundle of active safety technologies – including the Pre-Collision System with Pedestrian Detection, Lane Departure Alert, Automatic High Beams, and full speed Dynamic Radar Cruise Control – enhances driver capabilities to mitigate collisions, stay in lane, and see at night. Other safety technologies standard on all 2018 Tundra models include the Toyota Star Safety System, eight airbags and a back-up camera.